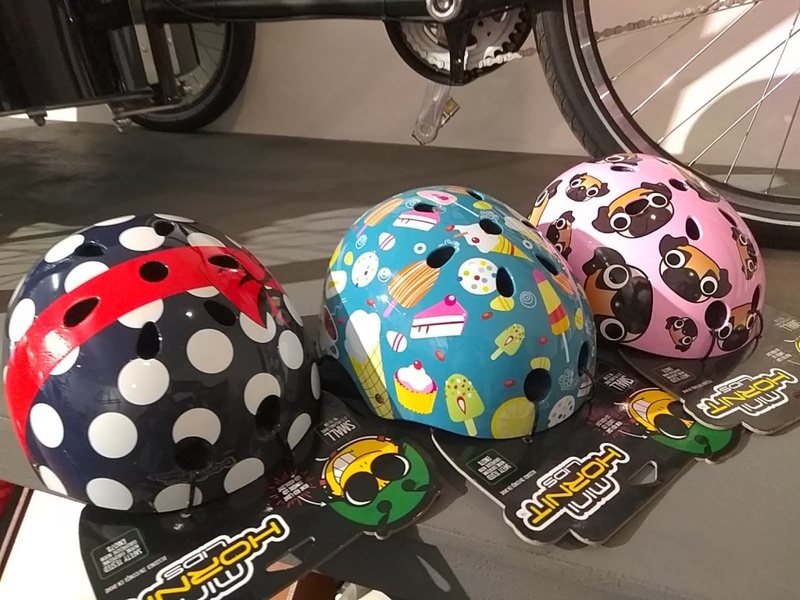 We’ve added these adorable lids from Hornit to our current helmet range. 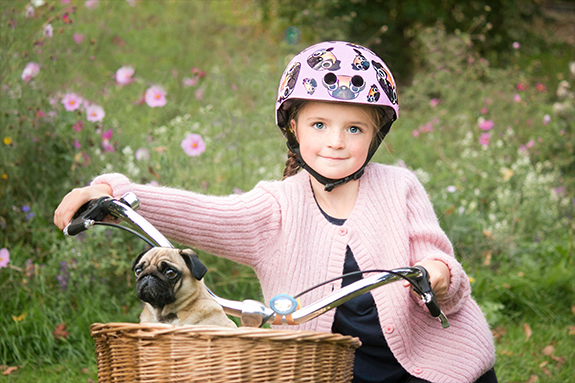 The Mini Lids have cute designs and a range that would delight all little riders. These helmets are well made and fully adjustable thanks to the headband adjuster at the back. They are lightweight and comfy with 11 air vents. Sizes available make them suitable for some adults too as they span from 48 to 58. As an added feature, the Mini Lids have an integrated rear LED light. We often have parents asking us about helmet sizes. We stock some of the smallest helmet sizes on the market, starting from 46. It isn’t recommended to put a helmet on a very young child as the extra weight, however small, may put strain on their still developing neck. It’s also not very comfortable when sitting on a trailer, bike seat or cargo bike as it pushes their head forward. measure your child’s head circumference starting just above the eyebrows, ensuring you keep the measuring tape levelled all the way round. When trying one on, make sure it is properly adjusted using the vertical straps as well as the horizontal adjustable dial or slider. The helmet needs to sit straight on top of the head and not move when briefly shaking the head from side to side. Ensure the straps are not tangled and allow one or two fingers between the buckle and the chin (do the yawn test). Straps need to be readjusted from time to time as they loosen up overtime. In addition to the Mini Lids, we stock the following brands: Lazer, Bell and Abus with prices ranging from £15 to £60. See our children’s bikes here. And don’t forget we currently have a 10% off the full range!